We Deliver Tomorrow’s Proven Geothermal Technology – TODAY! 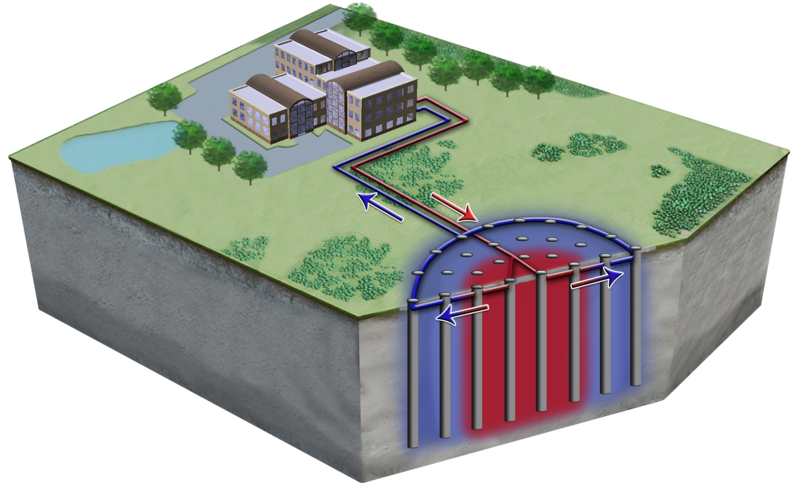 Geothermal heating and cooling applications are generally considered to be on the cutting edge of sustainability and energy conservation in the US, where ground source heat pump (GSHP) applications are established and rapidly growing. While we acknowledge the energy savings and comfort that properly designed and constructed GSHP system can provide, we consider the state of the US geothermal market to be, well, conventional. Compared to Europe, the US is lagging way behind in geothermal innovation – probably by about 10 years. Let’s look at this disparity in a little more detail, and briefly explore some of the truly innovative geothermal technologies that are available, but generally unheard of here in the US. 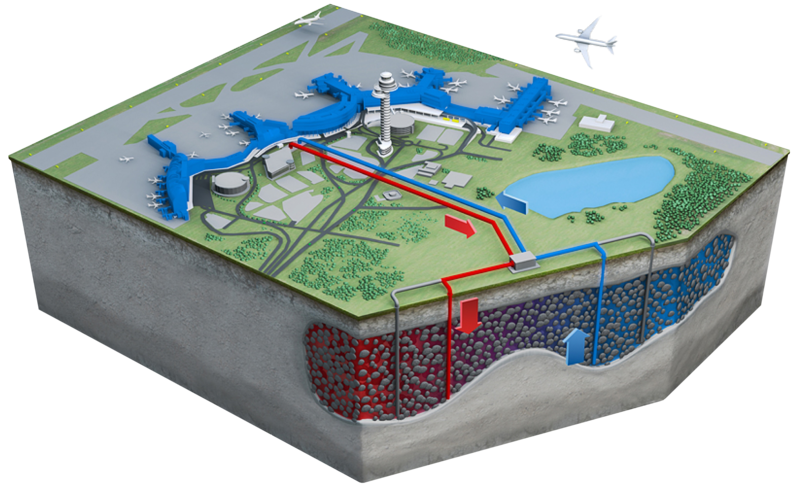 Why is the US lagging behind Europe in geothermal technology? Fossil fuel prices in Europe are and have been much higher than in the US. District heating and cooling systems are more common in Europe, and those systems are well suited for geothermal applications. Europe’s regulatory environment has actively encouraged and funded research and development of geothermal applications for energy conservation, while the US Department of Energy hasn’t made significant investments in (low temperature) geothermal research since the early 1980s. 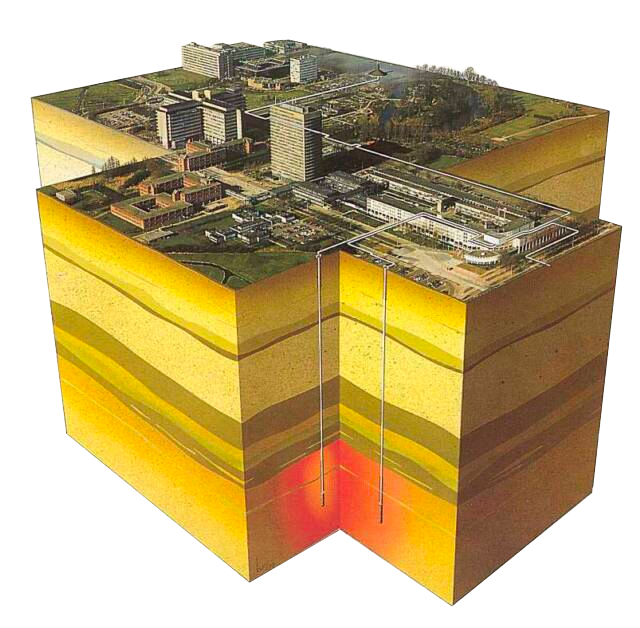 Much of the development of Aquifer Thermal Energy Storage (ATES) was done in the Netherlands, a part of Europe that is ideal for this technology because it is underlain by extensive, permeable aquifers. What’s so special about this geothermal technology? Thermal Energy Storage. It’s that simple. Most of us have dreamed on a hot summer day that it would be nice if we could experience a little bit of last winter’s cold, or that we could use some of last summer’s heat when arctic cold fronts march across the continent in January. It’s like the old ice houses from the 19th century, when ice blocks were cut from the ponds and stored in insulated sheds until the summer, when the ice was sold in the cities. We now have the technology to store seasonal heat and cold in the ground. While it is feasible to construct large underground pits or tanks to store thermal energy, normally the Earth itself is used as the storage medium – because it’s free! Click on the links below to learn about the two most commonly used means of storing seasonal thermal energy for building heating and cooling. Copyright © 2018 · Underground Energy, LLC · All rights reserved.